We’ve finally reached the end (for now?) 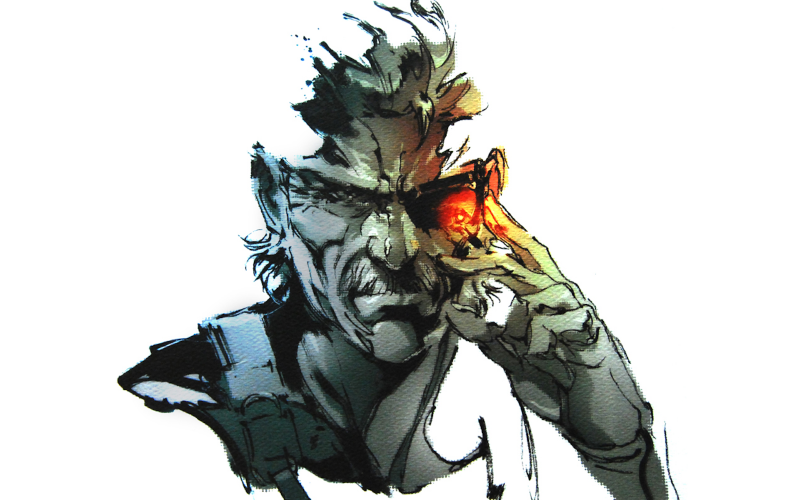 of our Metal Gear series retrospective. In the epic conclusion to our six part Metal Gear 25th Anniversary series Leon, Tony and Jay review 2008’s spectacular but polarising Metal Gear Solid 4: Guns of the Patriots. A prematurely ageing Snake is sent by the UN to the war-torn Middle East in pursuit of Liquid who still plans to enslave the world. Cameos, Easter eggs, fan-service and inordinately long cut-scenes abound in what to some is Kojima’s creative apex but others his self-indulgent nadir? This Issue of course features selections from the stirring MGS4 original soundtrack and as usual we also take your correspondence on the game along with your Three Word Reviews. I agree with the part about Naomi reacting to Snake. I think its the Japanise Direction showing. Its a common way of dramaticaly highlighting the moment in traditional Japanise drama. And I think it carries through to modern works. Kinda like our dramatic staples that carries back to Shakespeare and the greek classics. A good point Samel. Thanks for posting. Great show (!) I love the MGS series, and have played all titles multiple times, except MGS4 (please come to Xbox). I’ve avoided spoilers up untill now, and you guys told the story so well. Why doesn’t Konami want more money? Yeah I’m sold, I like big boss better anyways. Did you guys also talk about Portable Ops, and the GBC Metal Gear at all in any of the episodes? I quite liked both of those too. Portable Ops gets a bit of coverage in the Peace Walker podcast but we don’t go into it fully. Ghost Babel is still on our big list of games to cover some day!